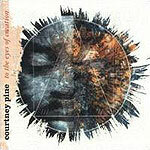 CD review: "To the Eyes of Creation"
Courtney Pine is one of jazz's brightest young saxophonists, and one of the most promising young British jazz musicians on any instrument. Possessor of a wonderful tone and expansive command of his instrument, his solos can be breathtaking. And there are some passages of outright brilliance on his new album, "To the Eyes of Creation." But this outing keeps slipping from jazz to easy listening to R&B to African to new age, with no overriding theme to tie the disparate elements together. What salvages the album is Pine's outstanding reedwork. Fans of his will likely dig this album, but those looking for an introduction to his music might be better served by one of his earlier, more consistent (and more jazzlike) albums.